Because our kids deserve the best ! Some may never live but the Krazy never die ! My psychiatrist told me I was krazy and I said I want a second opinion. He said okay, you're ugly too. We have celebrated our 9th birthday last year, so this year is OUR 10TH !!!! Now, we are allowed to be COMPLETELY, ABSOLUTELY KRAZY . However, we have to be very professional. So here are our business mission and vision statements. 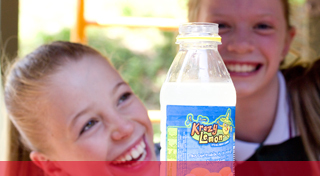 OUR VISION: We intend to provide our krazy drinkers with just the best Australian drink on the market. 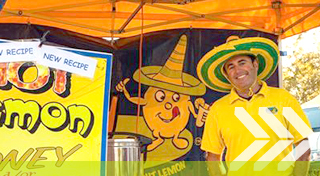 All our products are made in Australia, from quality Australian lemon juice, with no colours or preservatives added and it's gluten free, ... ! Oi, Oi, Oi ! OUR MISSION: Turn the whole of Australia Krazy. 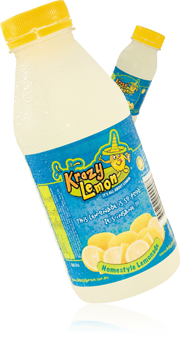 Because lemon is krazy good for you. Any part, any shape, any state of lemon is good; peel, juice, pulp, yellow, green, uncooked, cooked, preserved, frozen ... and it's such a good source of Vitamin C for very few kilojoules. 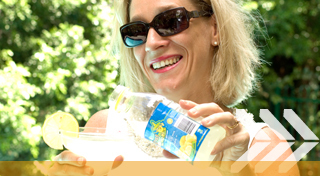 A little lemon is always so refreshing and so good for health!! © 2019 Krazy Lemon Homestyle Lemonade. All Rights Reserved.